Had this Question of the Week been a poll, eReaders would definitely have won the day. Furthermore, the most popular eReader mentioned is the Kindle Paperwhite. What really caught my attention is the Kindle Paperwhite’s readability in the dark (which I had not considered), and the glare-free screen for reading in daylight. TCM readers also report the Kindle Paperwhite battery lasting for weeks. Dear Santa – I have been very good this year (so far). Can I please have a Kindle Paperwhite for Christmas? I promise not to shoot my Red Rider BB gun, or poke my eye out. Yours truly, Gordon. “I have a Kindle Paperwhite because I can read it at night before going to sleep without keeping my husband awake or having to be concerned about the blue light emitted by tablets. “An iPad! 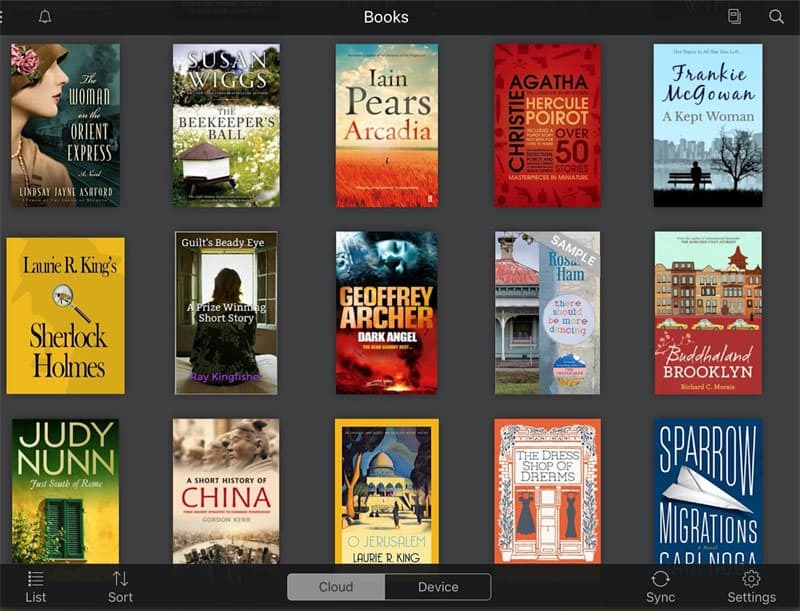 You can carry hundreds of books on an iPad, and get free downloads from the public library or by purchasing them online. Light and easy access, what’s not to like? We have a sailboat. A hard copy book can mold or mildew in days if conditions are right. Digital copies are no problem. “Because of the number and type of books available, we both have Kindles. However we also enjoy paper. Book Recommendations: While I enjoy a variety, I especially like the old westerns and tails of the early frontier by Zane Grey. For those who enjoy traveling and the great outdoors (as Truck Camper Magazine readers do), his colorful descriptions can instantly bring everything to your mind’s eye. For a current day writer I also enjoy Clive Cussler. His initial books written just by him are great, but his co-authored books are more varied and every bit as enjoyable. “My preference while traveling in our camper, for book reading, is my iPad and eBooks downloaded from Amazon. I was once told that, with limited space in a truck camper, one should make any item do at least two jobs. Well my iPad does many more jobs than that, and all of them while offline. My iPad is a GPS navigator. I use the fuel app, Wikicamps, the camera, walk mapping app, bird identification book, the calculator, the diary and many more, including my welcome eBook reader. I now prefer eBooks to real books. Downloaded eBooks mean I can carry as many books as I like without taking up any valuable storage space. Other advantages over paper books include (a) the ability to increase print size, (b) no need for bookmarks as it stays where I left it, (c) downloadable books are available on my iPad or iPhone, (d) the ability to instantly look up the meaning of a word, which is particularly helpful for historical novels, and (e) ability to search for words or passages I want to read again. Home » Question Of The Week » Books Vs. eReader Showdown: What’s Best For the Road?